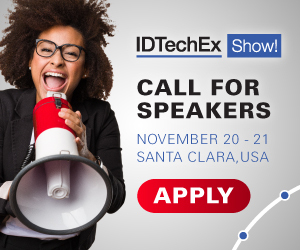 The IDTechEx Show!, held in the Estrel Convention Center in Berlin, Germany on April 10 - 11, 2019, will be the third IDTechEx Show! to dedicate a healthcare track that runs throughout the 8-colocated conferences already offered. Once again, attendees of the show can follow healthcare-specific sessions through our existing conference tracks to learn more about how the healthcare sector can utilize and benefit from emerging technologies. www.IDTechEx.com/Europe. Starkey Hearing Technologies - "Reinventing Hearing Aid Devices With Sensors And Artificial Intelligence"
MIP Diagnostics - "Cardiac Troponin I Molecularly Imprinted Polymers For In-Vitro Diagnostics"
Holst Centre - "Printed Conformable Electronics: Democratization And Decentralization Of Future Healthcare"
Qualcomm Life - "Medical IOT: Where Do We Stand Now And What Could Arise With 5G?" PKvitality - "PKvitality K'Watch: Bringing Consumer Electronic Experience To The Medical Device World"
Nanoscribe - "Recent Biomedical Applications Of 3D Microprinting"
Firstbeat Technologies - "Using Heart Rate Variability Analysis To Indicate Athlete Injury Risk And Well-Being"
To find out more about the sessions and companies presenting at the IDTechEx Show!, please refer to our published agenda here.